I'm certain now that I would hold a child of mine out of contact sports as long as I could. The idea is that some sports you don't need to— There's two ways to look at it. One is that in no sport does a child need to be having repetitive brain trauma. So every sport should change, and that's partially what we're trying to do here, is change sports, so there isn't this absurd, stupid, repetitive trauma. Whether it's in football pratice, or whether it's a coach who likes punting the ball in soccer pratice, and making you do 20 half field headers a day. That stuff shouldn't be happening. So, hopefully, contact sports will be dramatically safer, and maybe even we can determine safe by the time I have kids that are of that age. Until then, I can't imagine exposing a child to anything that has repetitive brain trauma where the upside is so small. Doing sports are great. Everyone should be playing sports, but no one should be taking repetitive brain trauma. I loved playing basketball growing up, and in basketball you can get concussions, sure, but it's much, much more rare, and you can see them when they happen, and so, I will be steering my kids more towards contact versus collision, and trying to hold off brain trauma as long as I possibly can. Then we'll—high school, that's a gray area right now. People are saying, hold them out until they're 13 or 14— Well, why? It's more of a cultural question than a medical question. Until contact sports are safer, Chris Nowinski would hold off as long as possible before letting his future children play games where repetitive brain trauma is commonplace. See all videos with Christopher Nowinski. Posted on BrainLine September 20, 2012. 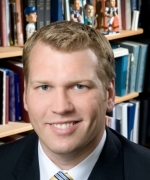 Chris Nowinski is a co-director of the Center for the Study of Traumatic Encephalopathy at Boston University School of Medicine and the co-founder and CEO of the Sports Legacy Institute, a non-profit organization dedicated to solve the sports concussion crisis. I find them to be higyhy irresponsible and even endangering toward the safety of kids on the part of parents, and especially school coaches and officials. But it is somewhat like Rome. They reveled in the most violent and life-endangering sports imaginable, and they lived vicariously in the persona's of their idols. It is really no different of a model when TBI's are involved, and broken bones are things of pride. But people still ascribe to the old adage, "When in Rome, do as the Romans do !"